“In an ideal world, there would be no need for my field of research, because everyone would have access to quality care,” says Susan Magasi. Susan Magasi imagines a world where everyone has equal access to quality health care, including people with disabilities. 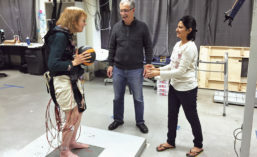 Magasi, assistant professor of occupational therapy, is doing her best to make that happen. For her accomplishments and the promise of future achievement, she was recently named a UIC Rising Star Researcher of the Year. “In an ideal world, there would be no need for my field of research, because everyone would have access to quality care,” Magasi says. She conducts community-engaged participatory research, partnering with organizations in the disability community. “We hold each other accountable to make sure we are responsive to the community, not imposing outside solutions on people with disabilities,” she explains. Since joining UIC in 2013, Magasi has been principal investigator on five grants from organizations that include the National Cancer Institute, American Cancer Society and National Institute on Disability, Independent Living, and Rehabilitation Research. 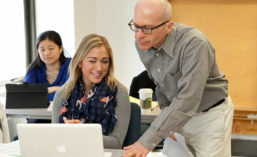 Her current research began with focus groups that identified barriers to health care for people with disabilities, both physical (like exam equipment that can’t be adjusted for people in wheelchairs) and attitudinal (such as clinicians who assume people with disabilities can’t make their own health care decisions). The next step: using peer support to develop tools for overcoming these barriers. 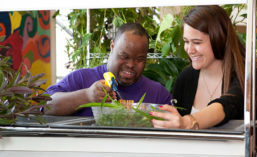 With a five-year, $730,000 grant from the NIDILRR, Magasi is developing a peer health navigator program in partnership with Access Living, a Center for independent Living, and Community Care Alliance of Illinois, a Medicaid managed care provider. The goal is to create a model for navigator programs that can be used in other settings. In the pilot study, eight people of various ages and disabilities were trained as peer health navigators. They are working with 20 patients, to help people break down barriers to care through a structured process of goal setting, barrier identification and action planning and help make sure that people get the care they need. Next fall, the project will expand to a clinical trial with 120 patients. “Already, we’re chipping away at health care disparities,” Magasi says. For example, one man had trouble getting his wheelchair repaired. A peer navigator helped him break down the process into steps to get the repairs done. 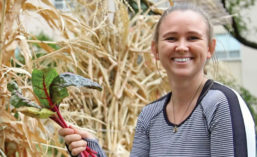 “Something really special is happening with the navigators, too — a sense of empowerment,” Magasi says. 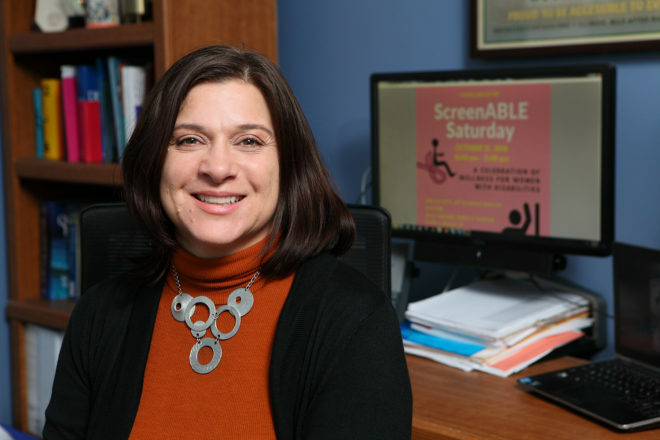 Last fall, Magasi put her research into action with ScreenABLE Saturday, a community health event in partnership with the Chicago Cancer Health Equality Collaboration that included free accessible mammograms to disabled women. “For many of the women who attended, it was the first time they had had a mammogram,” Magasi says.